The new Globe Media Group brand identity and sales materials are launching in early July. A strong new expression of our brand, the new marketing message focuses on emphasizing The Globe’s core strength and how that benefits our advertising partners. Exploring the intersection of Audience, Context and Performance, across a new booklet, video and presentation and a redesigned GlobeLink.ca website, we clearly demonstrate how to form a strong connection to Canada’s influencers – accessing a target consumer audience – within Canada’s most influential audience, within our leading, trusted editorial context to deliver fully on a client’s objectives. The new messaging effectively conveys the next evolution in the GMG sales approach – away from a traditionally transactional approach to developing deep client relationships as marketing consultants. The transition is demonstrated with strong category and product knowledge and in crafting carefully tailored proposals and persuasive communications to initiate productive conversations. Initial feedback from the sales group is very positive, with reports of clients being highly engaged and freshly impressed in recent presentations. Combined with extensive training to upgrade proposal, presentation and communication techniques, the new Globe Media Group is positioned for strong growth as we approach the next fiscal year. 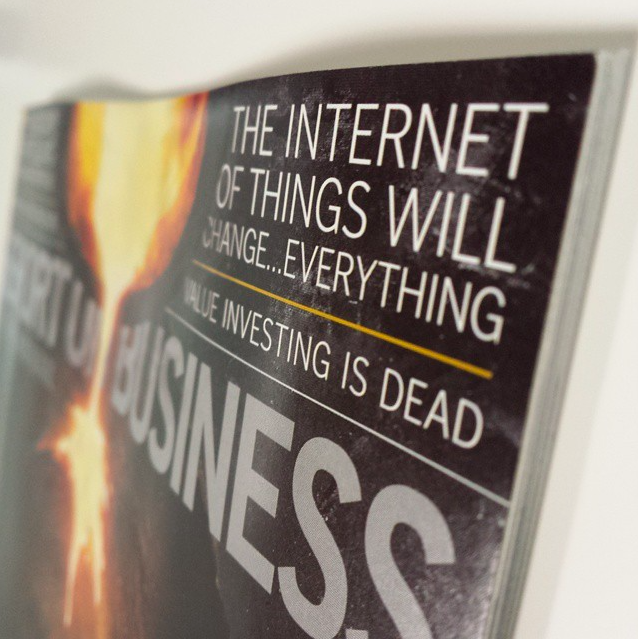 Report on Business magazine’s June issue featured the first time that The Globe has extended a main magazine theme — in this case, the Internet of Things (IoT) – as multi-platform initiative for Globe readers to explore the theme through different lenses. IoT refers to products that are connected over a network, gathering information, talking to each other and, increasingly, automatically regulating functions to optimize their performance, efficiency and maintenance. These ‘smart’ products are increasingly all around us, from our TVs, fridges, alarm systems and thermostats in our homes to advanced transportation networks and the next generation of technological infrastructure used by multinational corporations. IoT is set to rapidly affect how we live and how we do business. Our new feature explored an emerging area of interest for The Globe’s discerning readers, who look to The Globe as a leader in delivering quality, insightful business and technology news. It’s also a perfect fit for the sponsor, GE, who took advantage of this ideal opportunity to align for their brand messaging. 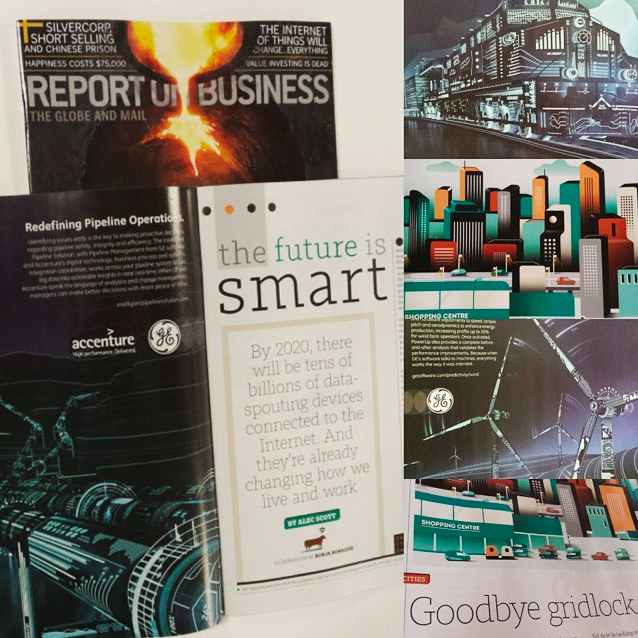 In the magazine, we explored how IoT is changing business on an international level. 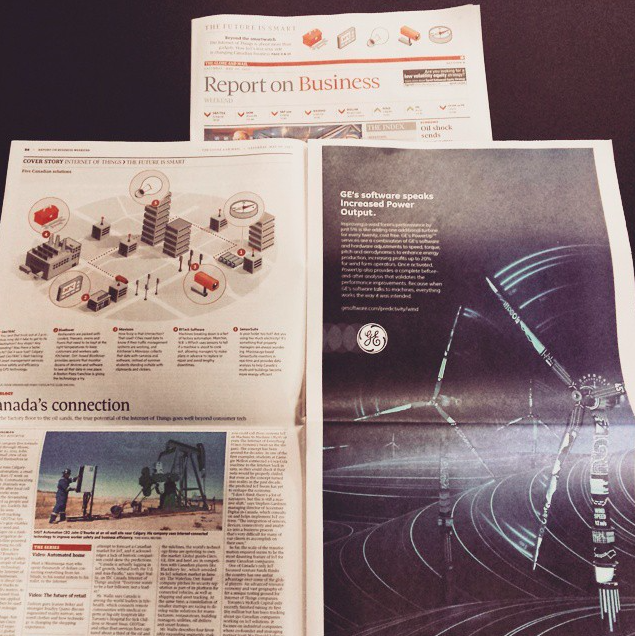 In Saturday’s Report on Business newspaper section, we investigated how IoT is affecting Canadian business and highlighted some key examples. On digital platforms, business articles were posted throughout the month, including dedicated video content. One of the videos focused on the most connected house in Canada and how IoT makes that household work. The digital coverage ran for the month on a newly created IOT landing page in our website and new iOS app. As our flagship sponsor, GE brand ads appeared in the magazine and newspaper coverage and alongside all of the digital content. Behind this project, I have been guiding our Product team to collaborate extensively with our editorial teams and to create a new series of flagship sponsorship opportunities across our products and business categories. Working closely with editorial, each will weave each main theme across our print and digital platforms in a way that is cohesive and complementary and plays to the key attributes of each platform’s audience – and the needs of advertisers who seek to connect with them. The IoT project has been showcased across The Globe to highlight how we can use large-scale, cross-platform collaboration to continually inspire and support innovation – and attract significant additional revenue – for the business. It’s a fantastic app, from a really good company. They are eager to partner with us, share new developments, assist in the set-up and they’re a fun team too.